Who loves eating chicken nuggets? I certainly do, and mostly every time I go to McDonald’s I usually get a 10 piece Chicken McNuggets. 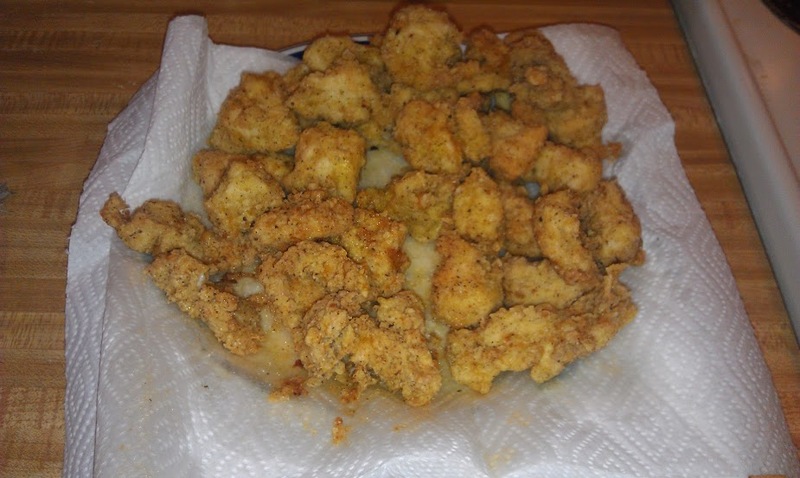 So, in this Aspie Recipes post, I am going to show you how to make your own chicken nuggets. And these are healthier, and don’t have things like MSG in them. Here’s what you need! 1. 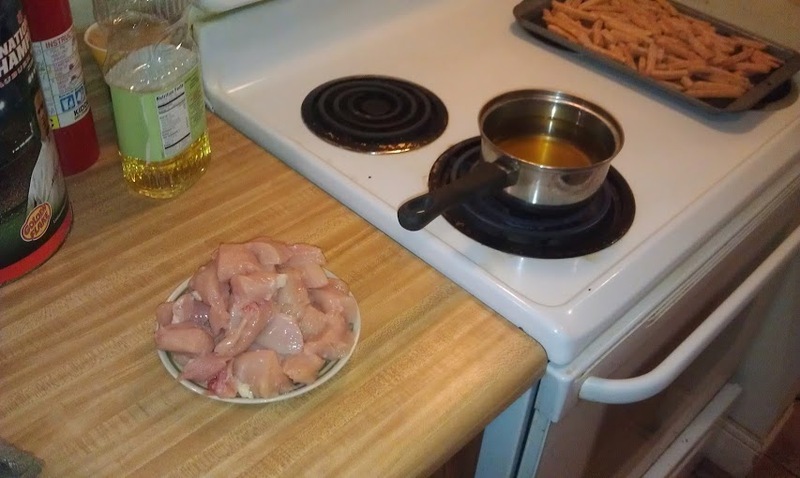 Cut your chicken breasts into small pieces. 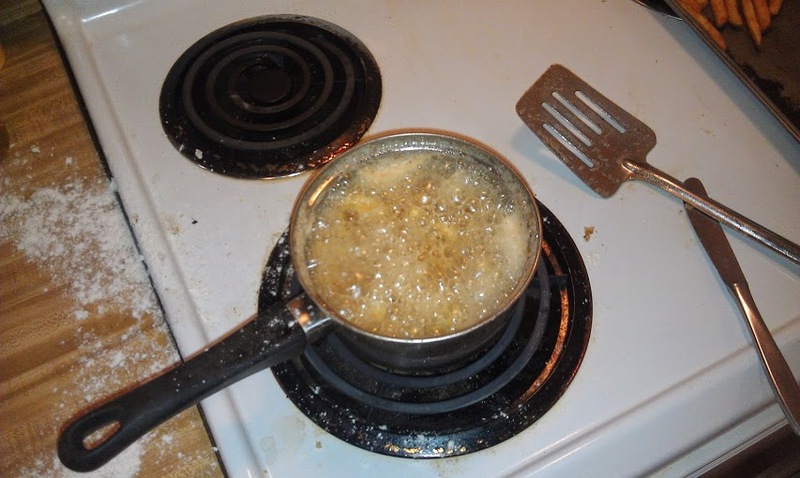 Heat your oil over medium heat. 2. 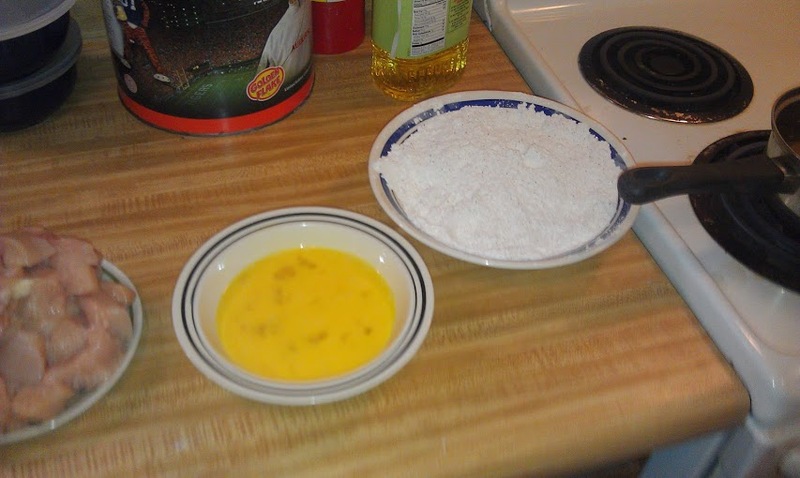 Coat your chicken pieces in egg, then flour, then place into hot oil. 3. 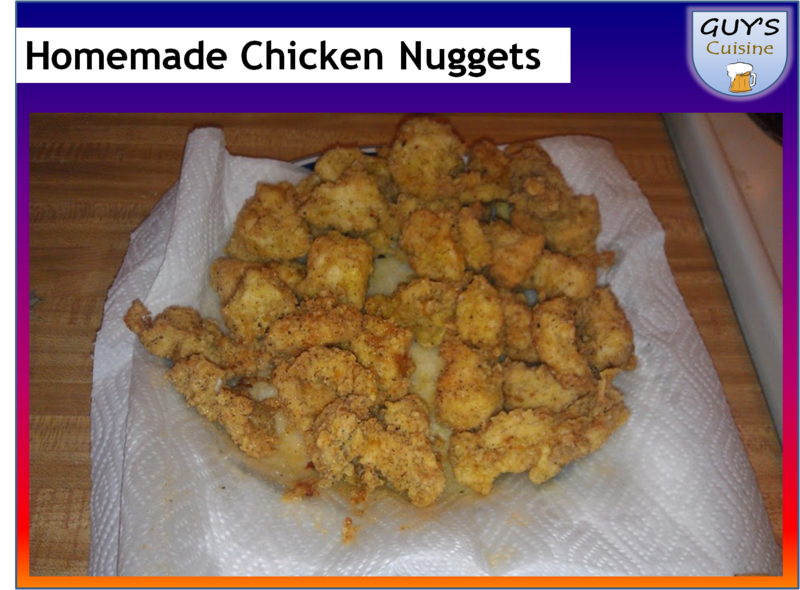 Cook your chicken nuggets in the hot oil for around 5 minutes. 4. Take out of hot oil and drain on paper towels. And there you go! Cook a side like some french fries, and get your favorite dipping sauce, and enjoy!